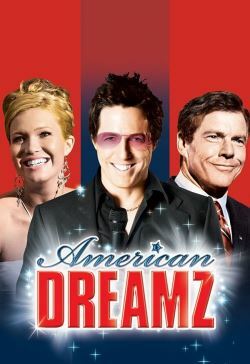 Martin Tweed is the host of a talent show called American Dreamz, and whilst he despises each new season, it's a hit with the ratings. Tweed decides it's time for a new and interesting batch of contestants, and sends out his team to find the weirdest bunch possible. Whilst all this is happening, the President of the United States is becoming more and more depressed, and relies on his Chief of Staff to talk him through everything, even into appearing as a judge on the TV show. Perfect news for the terrorists who use the talent contest as a way to reach the President.